Mattel, 1977, Deepest Purple #9817 for Marie Osmond. 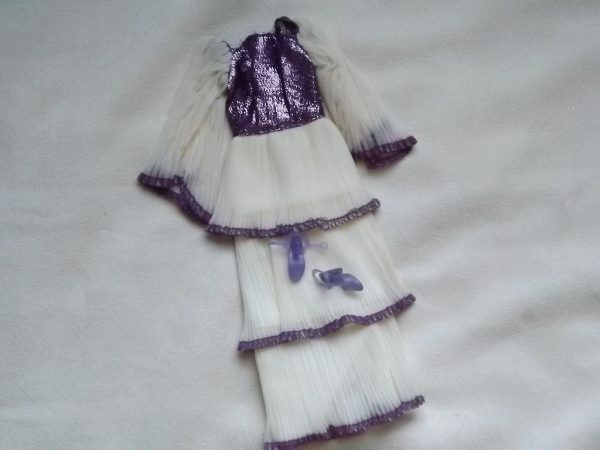 Is a tiered ribbed white dress with shimmery purple bodice and trim. Includes shoes. Near Mint condition.